Whether you want to make or receive a secure payment, it’s hard to know the best way to do so. You could go the cash route, but that’s risky to send in the mail. Plus, do you really want to be carrying around a huge wad of cash? Instead, you could go with a personal check. But if you’re on the receiving end, how do you know the check won’t bounce? So what’s the solution? Let us tell you all about certified checks. 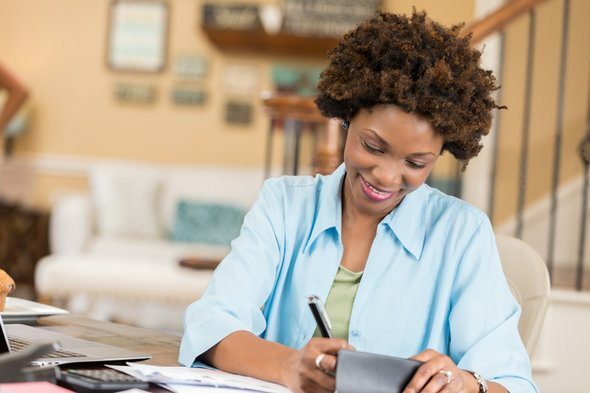 Compare savings accounts and find the right one for you. A certified check is a check written by an account holder and guaranteed by the bank. This means that you write a check almost as normal, but the bank certifies it and freezes the check amount in your account. That way, the check won’t bounce whenever it’s deposited. Certified checks serve as an alternative to personal checks, which are not guaranteed. The main advantage of using certified checks is that they provide guaranteed funds. The issuing bank or financial institution certifies that the sender has enough cash in their account to complete the transaction. The bank will also ensure that the check carries a genuine signature. Luckily, certified checks are usually pretty readily available at your local bank. People often use certified checks in large transactions where the recipient doesn’t know (or trust) the account holder. A personal check poses some risks, especially in situations like these, where it’s unsure whether the buyer can actually make the purchase. A certified check can bring peace of mind to both parties, when they both want to make sure the funds are safe and secure. Other times, certified checks are used in lieu of cash purchases. Once they’re certified, they’re good to go. So instead of handing over or mailing wads of cash, you can send a certified check. This comes in handy when you need funds more immediately since you don’t have to wait for the check to clear necessarily. You can purchase a certified check through a bank or credit union. While you can get a certified check from any old bank, it’ll probably be easier to go to a bank you have an account with. You’ll need to go into a physical branch to get a certified check. It could help to call the institution beforehand to find out whether it offers certified checks and if there are any further requirements. To get started, you’ll need to provide the check amount, name of the recipient and any note you want to include on the check. You’ll then have to verify your identity and prove to the bank or credit union employee that you have the funds available in your account. Banks may require a photo I.D. for verification. Once you’ve written the check, the teller or a bank officer will sign off or “certify” it and stamp it. Keep in mind that most institutions will charge a fee for certified checks. The fee often varies depending on the account, institution and transaction amount. However, it will usually fall between $5 and $15. If certified checks sound familiar, that’s because they’re pretty similar to cashier’s checks. They’re both considered “official checks” and both guarantee payments. Additionally, you have to go to the bank (or credit union) to get a cashier’s check. The difference lies in the back-end structure with the bank. With certified checks, the bank makes sure your account has the proper amount of funds. Then it freezes that amount for the certified check payment. With cashier’s checks, you make a payment to the bank in the amount of the check. The bank then draws the funds from its own account when the cashier’s check is deposited. Again, both types of checks provide bank-guaranteed funds. Another alternative to certified checks are money orders. These are more widely available since you can get them at post offices, retail stores and money transfer companies, as well as at financial institutions. Money orders are obtained by paying cash upfront to the vendor. The vendor then issues a money order, which promises that when redeemed, the funds will be made available to the redeemer. Money orders act more like cash vouchers than checks. One drawback to certified checks is that you cannot stop the payment once you’ve handed over the check. The funds are frozen and will be released to the person you paid when they deposit or cash the check. Another downside, although not quite as drastic, is that certified checks do come with fees. These fees usually don’t run too high. Plus, it may be worth paying a fee to make the secure and guaranteed payment. Certified checks themselves provide secure and guaranteed funds. However, certified checks aren’t hard for fraudsters to copy. Of course if you’re the one sending the check, you have nothing to worry about. 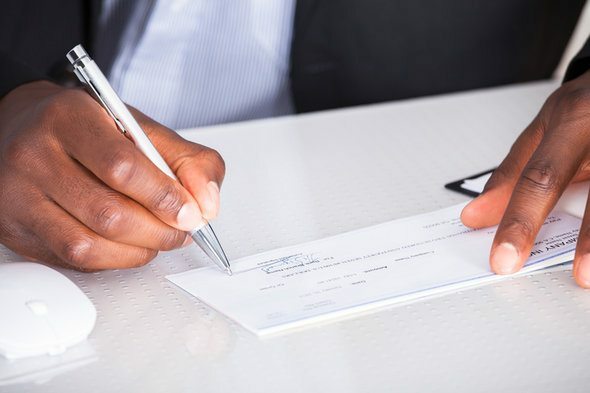 But if you’ve requested payment in the form of a certified check, you might want to exercise caution, especially if you don’t know or trust the check sender. 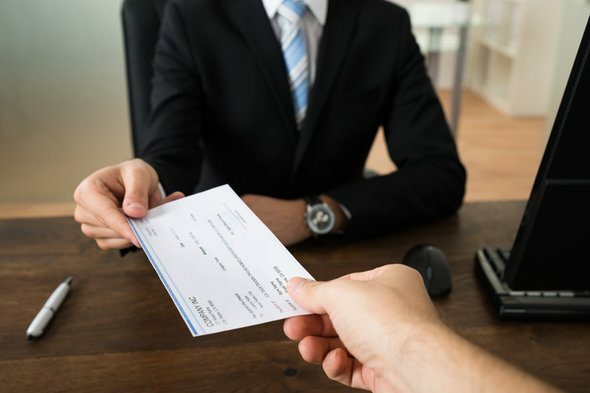 If you’re worried that a certified check might be fraudulent, first look for telltale signs like typos or anything that looks generally “off.” Double check the bank information with the bank’s information online. You should also call the bank itself, not the number on the check, to ensure the check is valid. Following these steps can help you avoid becoming a victim of fraud. Unfortunately, if you do fall victim, you will be held responsible for any money you spend or withdraw from the check’s funds. In the day and age of increasing online and electronic financial products, writing a check may seem old-fashioned. But when it comes to making secure payments, writing that check may be the better way to go. Certified checks give peace of mind to both the recipient and the sender, since both parties want to ensure the payment goes through. With a bank’s stamp of approval, a certified check is a great way to guarantee a successful transaction. Have financial questions beyond certified checks? SmartAsset can help. So many people reached out to us looking for tax and long-term financial planning help, we started our own matching service to help you find a financial advisor. The SmartAdvisor matching tool can help you find a person to work with to meet your needs. First you’ll answer a series of questions about your situation and your goals. Then the program will narrow down your options to three fiduciaries who suit your needs. You can then read their profiles to learn more about them, interview them on the phone or in person and choose who to work with in the future. This allows you to find a good fit while the program does much of the hard work for you.